Jake White coached South Africa to the Rugby World Cup title in 2007, joining an elite group in ascending to the top of the sport. White's driven, commanding style in one of the most challenging jobs in world rugby brought admiration and trouble throughout his reign, with the tricky subjects of racial quotas and meddling from above never far from the eye. Nevertheless, he moulded a successful side over several years under the microscope, beginning his tenure with a Tri-Nations victory in 2004 as the recriminations from the Springboks' exit from the 2003 World Cup and Kamp Staaldrad still stung. He had already taken South Africa's Under 21 side to the World Championship in 2002 and was named as IRB International Coach of the Year for the first time in 2004, an accolade he would win again in 2007. Lean years in 2005 and 2006 were followed by rigorous preparations for the 2007 World Cup in France. His side vanquished England 36-0 in a stunning game at the Stade de France and returned to the scene for the final, where Percy Montgomery and Francois Steyn kicked the points that defeated the same opponents. He stood down following a loss to the Barbarians at Twickenham, believing that a new face was needed at South Africa's top table. His autobiography became a bestseller following his departure and he remained involved in the game on a consultancy basis, coaching the Barbarians against Australia in 2008. In 2010 he became one of a number of vocal critics of incumbent Springbok coach Peter De Villiers - offering to coach the team at the 2011 Rugby World Cup. 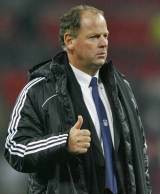 White initially indicated his interest in the newly created role of elite performance director role with England. However his interest in the role waned and he was appointed as head coach of the Brumbies in April 2011. Following the resignation of England manager Martin Johnson after the 2011 Rugby World Cup, White was again linked to a role with the Rugby Football Union. And in March 2012, the Brumbies confirmed they had been contacted by the RFU with the intention of speaking to White about England's vacant head coach position. But White, a day later, confirmed that he wanted to stay at the Brumbies via his Twitter account.